Think about lighting as early as you can in your garden design project so all the cabling and accessories can be concealed and incorporated into final design. The best lighting is invisible, so you see its effect but not how it is created. Make sure you employ a lightning designer and certified and qualified electrician to install the lightning for you so that it is safe, and ensure cabling is protected from water and curious animals. Unless you’re planning on hosting the next F.A Cup in your back garden, no garden needs to be floodlit. You don’t want to wash the entire garden in glaring light, and neither do you want to create the effect of security lights that pop on and off. Less is more when it comes to garden lighting and you don’t need many lights to create a pleasing glow. If budgets are small, nothing beats a string of copper tree lights or hurricane lamps set around a patio table. We use 12v low wattage LEDs in many of our Cambridgeshire garden designs. They are safe, easy to install, long lived and for very little wattage it’s possible to illuminate a whole garden. Most LEDs will need a ‘driver’ – essentially a small electrical device in a box that regulates the power – so consider where these are going to be hidden. Lightning allows you to create a new look for you garden at nighttime, which can give a completely different feel to the daytime space. For example, a daytime scheme might be centered around a children’s play area but at night time, you might want to throw this into shadow and focus on the garden’s entertaining space. If you’re unsure what areas or focal points to highlight, try walking around your garden with a torch. Point the beam into trees and try different angles to see what affects it creates. A spotlight, for example, will use a narrow beam of light to bring a sculpture or container to the forefront, while uplights can highlight plant foliage. Backlighters will conjure some beautiful silhouettes, for example, when used behind urns or sculptures, and a light at the bottom of an old brick wall can cast interesting shadows and bring texture to a space. An uplit white wall can be turned into an outdoor projector screen. Light steps and changes in ground level to enhance safety. Lights can be recessed into paving or decking. Highlight areas close to gates, and entrance and exit points. 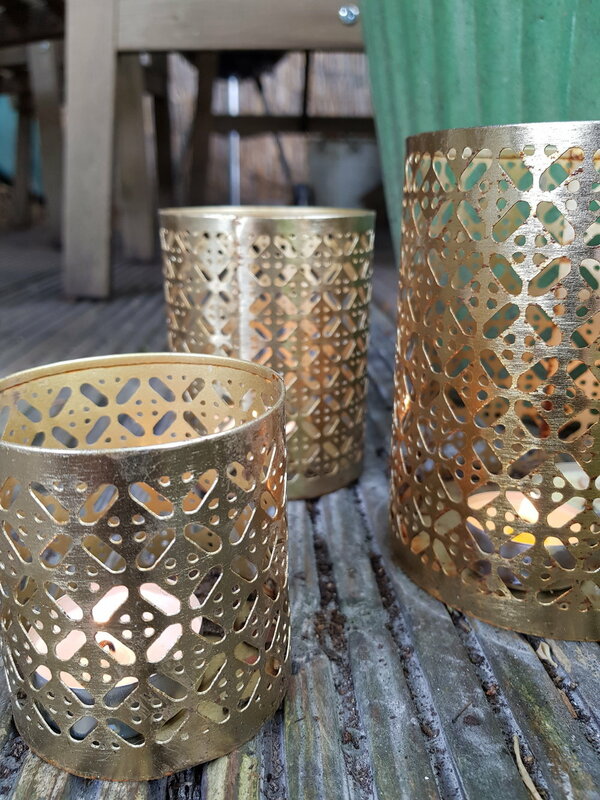 Create ambient light in shady areas near the house – particularly important if you want to use the patio or decking for nighttime entertaining. These areas will also be seen from the house so save your best and most expensive lighting schemes for these areas. Make a feature of paths. The best schemes are those that direct people through your garden and lead to a focal point, rather than one or two lights dotted about. Path lights should be set around 2-3m apart. At nighttime the eye is immediately drawn to bright light, so ensure garden lights are pointed away from the line of sight rather than towards it. People won’t be able to appreciate your garden, if the outdoor lighting blinds them. Use shields on path lights, for example, so the light points down and across rather than up, and use uplights to diffuse the light through architectural foliage. 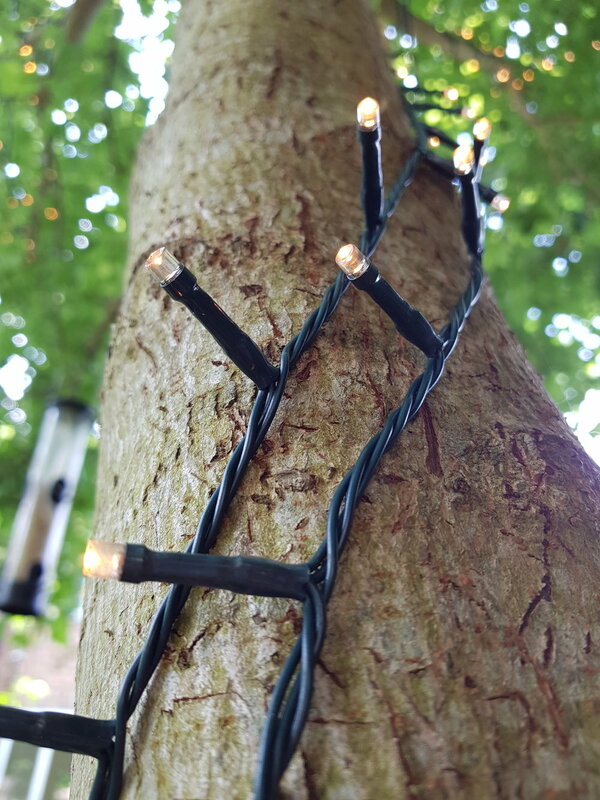 Down lights can also be placed in trees to create the dappled effect of natural light – called ‘moonlighting’ – and remember that tree bark can be as interesting as the foliage. Artificial lighting can be classed as a statutory nuisance if it unreasonably or substantially interferes with your neighbour’s enjoyment or use of their home, so be mindful to keep anything you do low key. It’s the contrasts of dark and light that make for the perfect garden lighting display, so consider areas of shadow too. Unlike interiors it’s not about illuminating the whole space but rather choosing to highlight certain areas. Keep utility areas hidden or ugly garden boundaries by drawing the eye away. Most LED lights come in warm whites or cool blues. Lighter blues and greens look good when used against foliage but, as with interior lighting, softer whites are better for dining areas and walkways. Some LEDs come in different colours, where you can programme the colour to suit the mood and you can also get coloured fittings such as olive green or copper, which blend better with the outdoor environment.